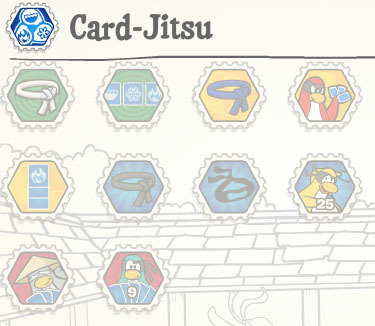 The only problems is, how do we earn the regular Card Jitsu stamps? Most of us are already ninjas. Anway, do you like these new stamps? 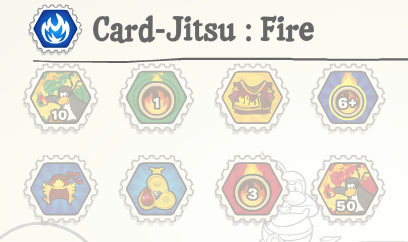 ok i can tell u first go talk to sensei beat him in him card jitsu and card jitsu fire then when u beat him in both u get the stamps i found this out when i did it XD no i really did! 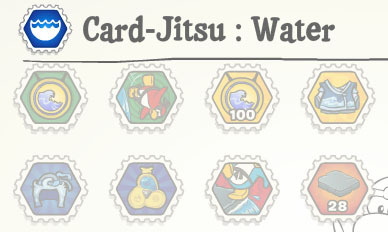 HOW DO U SEE THE SENSEI’S POWER CARD I NEED THAT STAMP!!! well ive got it its hard though but keep trying!!! does anyone know how to earn the drift to he edge water stamp coz i really want that stamp !! ?? can u tell us how to earn it? I have the Drift To the Edge stamp it was actually pretty easy to get!